The handsome 15 year old before winning the Under 1500cc. event at Riverside on Sept. 22, 1957. Ricardo wears a t-shirt with the logo of Gus Vignolle's "MotoRacing" magazine. 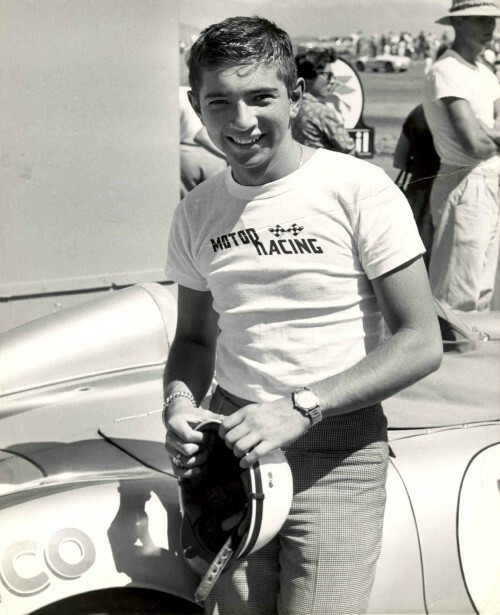 Vignolle was instrumental in advancing the Rodriguez brothers' racing careers. In 1961 Ricardo returned to Riverside to drive a N.A.R.T. Ferrari Testa Rossa in the "L.A. Times Grand Prix". A star is born. 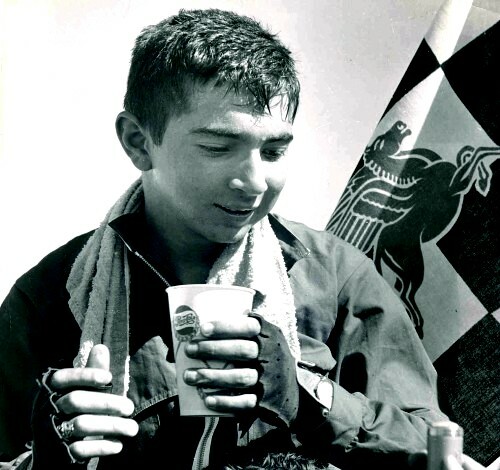 Tired and sweaty, 15 year old Ricardo had just beaten Bob Drake, Jack McAfee, Joe Playan, and other top SoCal small modified car drivers.